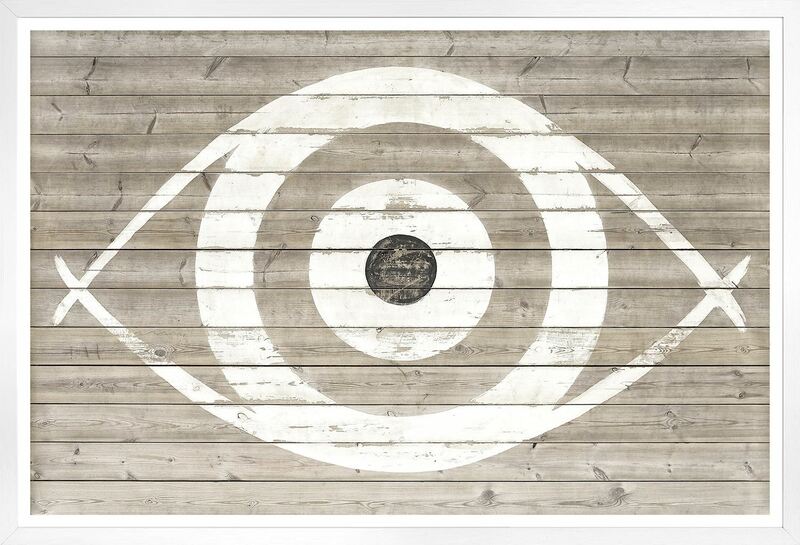 Focus a room with this abstracted bullseye on distressed wood. This dramatic image is sure to make an impact in a Coastal or Modern Farmhouse décor. 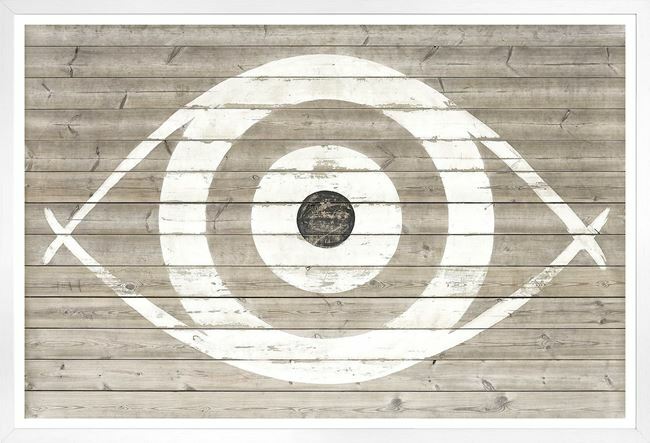 Its white wash tone is finished with a pure white wood grain frame.